Our client for this project was running a business from the third bedroom of their existing house and wished to build a home office in their backyard to remain connected with the life of the family but with a degree of separation. With the added advantage of saving on the rental cost of office space elsewhere, the project developed with a self contained double level office to the south and separate bathroom/laundry to the north. 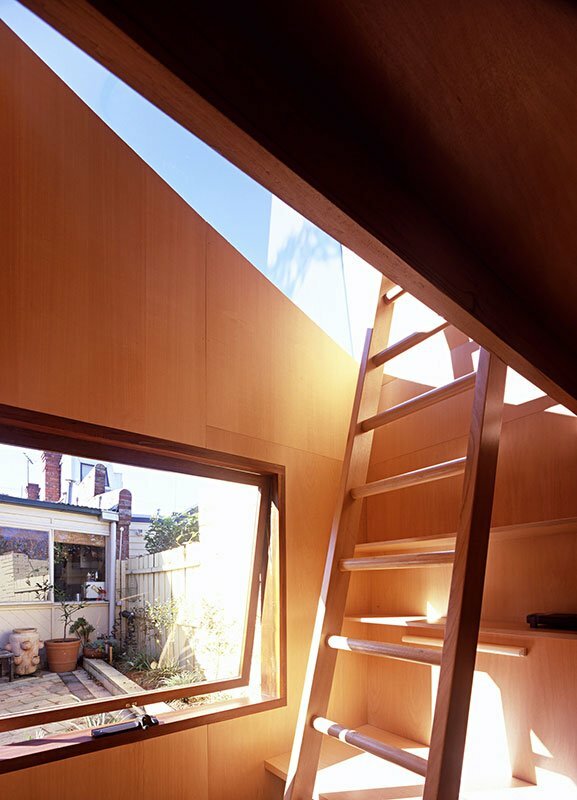 These spaces were also designed with their alternative future use as a guest room or teenagers retreat in mind. 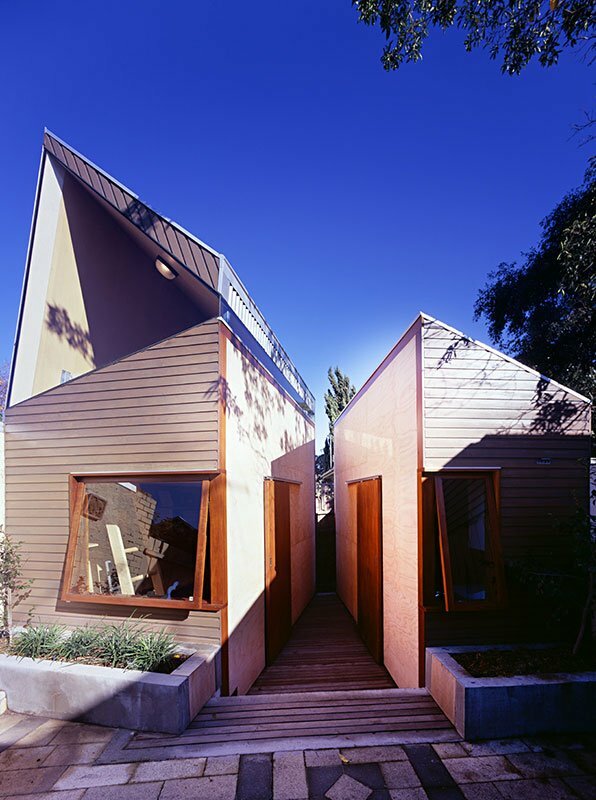 The form of the building is an adaptation of simplest of residential building forms, cut and prised apart to negotiate the specific requirements of the client and the site. 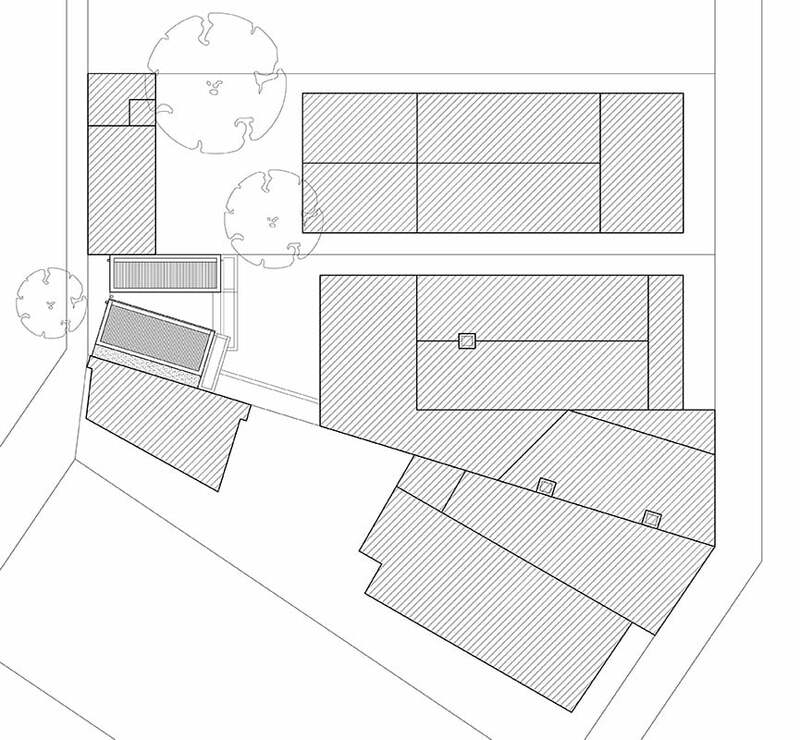 The split between the two building segments was initially considered to avoid moving the existing boundary trap (prohibitively expensive) but became more about extending the visual depth of the backyard to offset its inherent reduction in size. 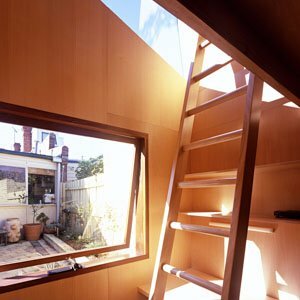 The resultant rectilinear building forms with ladder access to the upper level work/sleeping platform make highly efficient use of the limited space available. The budget was typically tight and Council planning restrictions were substantial with the building sitting adjacent to three boundaries. 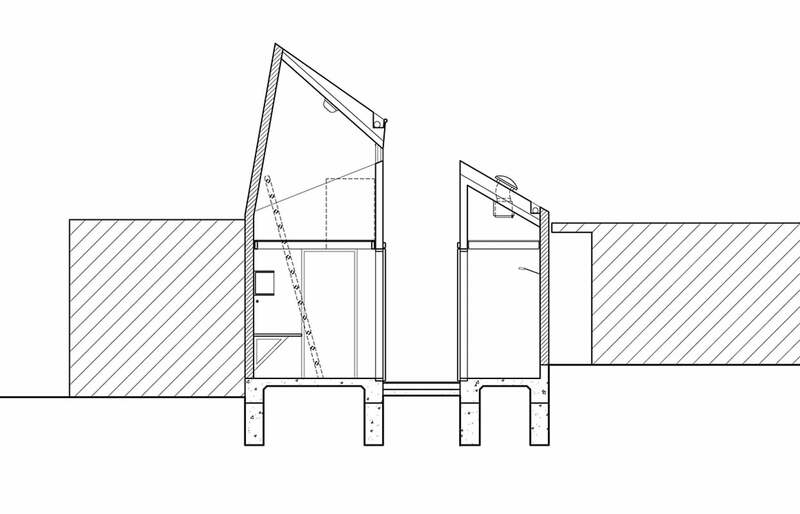 Internal planning was extremely tight also with the two floor areas measuring just 4 x 2 metres and 4 x 1.2 metres. Access for queen size bed, desk or filing cabinet to the mezzanine level is achieved by use of a demountable ladder. The residual space at the rear of the property, created by the rectilinear building plans against the wedge shaped site, have been converted by the owner into what is quite possibly the world’s smallest 18 hole mini golf course. 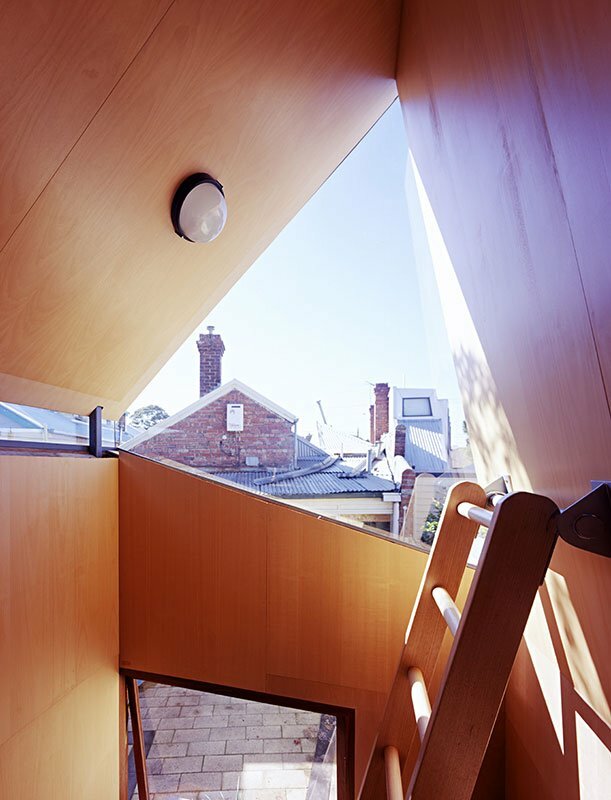 Materials were used in this project to reinforce its imagined origins as the most primary of timber dwellings. The two timber cladding types are used to reinforce the contrast between the external ‘skin’ surfaces (Western Red Cedar with silver grey stain) and the ‘cut’ surfaces (Ecoply and glass).